Craving a cup of coffee? You're in luck: a new business has opened its doors in the neighborhood. Called Ultimo Coffee, the newcomer is located at 238 S. 20th St. in Rittenhouse. This new coffee spot--which has two other Philly locations--is the latest addition from the husband-and-wife team of Aaron and Elizabeth Ultimo. The coffee shop first opened in 2009 in the Newbold neighborhood. In 2016, Ultimo expanded into roasting its own beans out of the Newbold outpost. Expect to see specialty beans: guji from Ethiopia with notes of melon and Earl Grey, Karatina from Kenya with hints of strawberry rhubarb pie and key lime, and Hacienda La Esmeralda from Panama, with a ginger and lavender flavor profile. The new coffee shop has already attracted fans thus far, with a 4.5-star rating out of three reviews on Yelp. 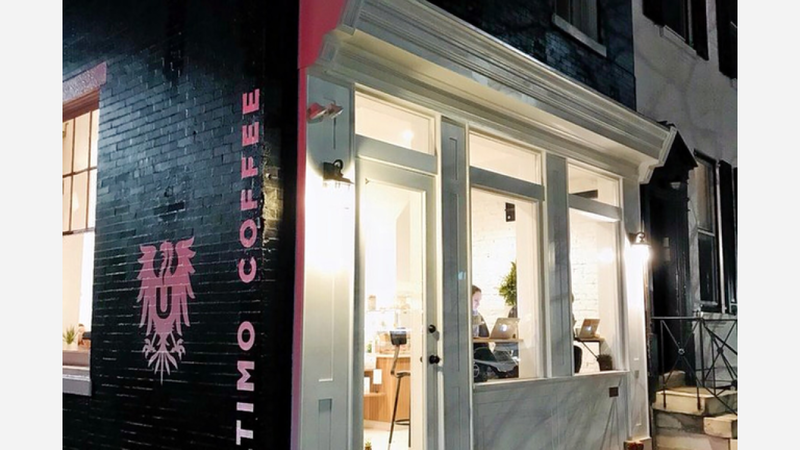 Grace H., who was among the first Yelpers to review the new spot on December 11th, said: "I was so excited when I saw an Ultimo Coffee had joined the Rittenhouse neighborhood! I frequent the one in Graduate Hospital (best cup of black drip ever!)" Yelper Chelsea S. added: "Brand spanking new with a beautiful facade. Great addition to the Rittenhouse neighborhood. They have a selection of pastries and simple coffee combos." And Alex A. said: "Glad to see Ultimo expanding north a bit! The spot is cozy, clean, and convenient. It's a great use of a tight space. The coffee is fantastic, as usual, and and the baristas know their stuff." Interested? Stop by to welcome the new business to the neighborhood. Ultimo Coffee is open weekdays from 7am-7pm, and weekends from 8am-7pm.